Posted on October 18, 2017 at 8:00:00 am by Alma S.
If you’re looking to take the family out to a nearby farm this fall, consider Hilger&apos;s Family Farm. 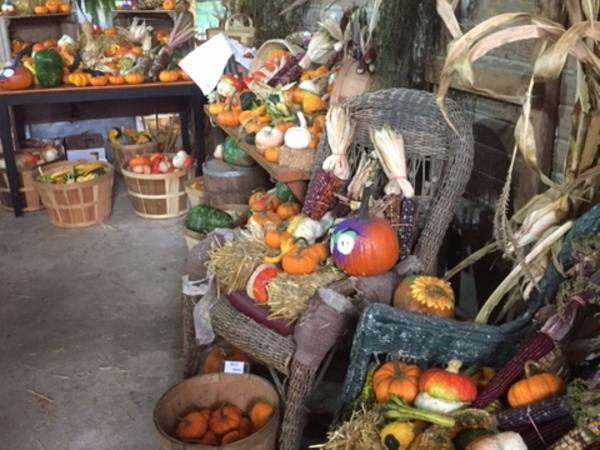 Hilger&apos;s Family Farm is a great place to spend an autumn afternoon, and it&apos;s just a short drive away. With activities for all ages, the whole family can enjoy their time here. 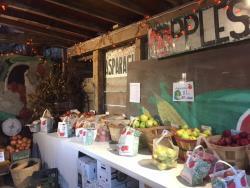 You can even buy fresh and locally-grown produce. Here’s a quick run-down of what you will find at Hilger&apos;s Family Farm. Upon arrival, you will see a nice play area near the Hilger barn. Your kids can pick out their own pumpkin in the pumpkin patch, or even go on a pony ride. Inside the barn, there are bales of hay lining the floor of another play area. On the other side of the barn, there is another swing set, and even a small maze made out of straw that they can enjoy. Small children will have fun playing outdoors in the fresh, country air while you relax with a cup of apple cider. The apple section inside the barn fills the area with the delicious scent of the fruit. There are a variety of different apples you can purchase, as well as caramel-covered apple treats. Other produce available for purchase include peppers, potatoes, onions, garlic, and jars of fruit spreads. In addition to the pumpkins, they have a beautiful array of fall decorations you can take home, too. While the farm is more geared towards small children and those shopping for locally-grown produce, there are a couple of activities that the whole family can enjoy. 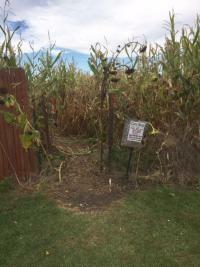 You can welcome the fall by exploring the corn-maze. 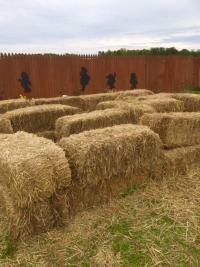 If you don’t feel like walking, they also have hay-rides, which the whole family can enjoy. Alma is a Fort Wayne native, who after attending IPFW, decided to pursue her dream of traveling and moving abroad to Europe. After a year of working and living overseas, she moved back to Fort Wayne and started her family. 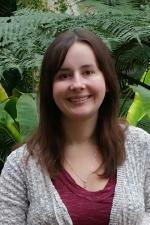 Passionate about travel, she has visited various cities across the U.S, as well. There’s no place like home, however. She enjoys being a tourist in her hometown of Fort Wayne and sharing all that this growing city has to offer with others.